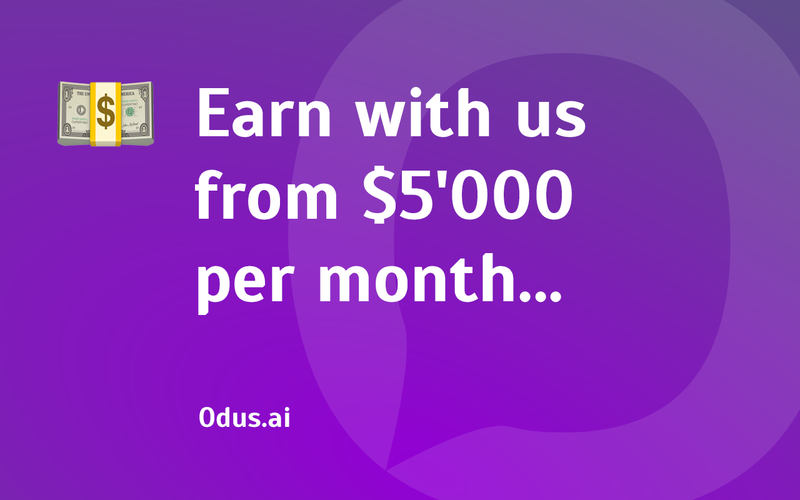 Earn with us from $5'000 per month! Yes, you read that right.  From January 1, 2019, we are launching an affiliate program, training course and certification of partners. Wow! Cool, right? Leave an application right now! Create customer dialogue scripts and build marketing on relationships... Marketing has become personalized and you need to learn how to work with it. We will teach you to create effective scripts for chatbots and you will be able to earn from $5&apos;000 per month making only 1-2 deals! Leave a request and become our partner. P. S. By the way, the number of partners is limited. There are only 300 places. Hurry up!